In 1963, Dr. King’s determined and courageous band faced water hoses and police attack dogs to call attention to the thicket of Jim Crow laws – including poll taxes and so-called “literacy” tests – that stood in the way of Black Americans’ right to have their ballots cast and counted. Today, there is a new and real threat to minority voters, this time from cyberspace: computerized purges of voter rolls. The menace first appeared in Florida in the November 2000 presidential election. While the media chased butterfly ballots and hanging chads, a much more sinister and devastating attack on voting rights went almost undetected. In the two years before the elections, the Florida secretary of state’s office quietly ordered the removal of 94,000 voters from the registries. Supposedly, these were convicted felons who may not vote in Florida. Instead, the overwhelming majority were innocent of any crime, though just over half were Black or Hispanic. How did mass expulsion of legal voters occur? At the heart of the ethnic purge of voting rights was the creation of a central voter file for Florida placed in the hands of an elected, and therefore partisan, official. Computerization and a 1998 “reform” law meant to prevent voter fraud allowed for a politically and racially biased purge of thousands of registered voters on the flimsiest of grounds. You’d think that Congress and President Bush would run from imitating Florida’s disastrous system. Astonishingly, Congress adopted the absurdly named “Help America Vote Act,” which requires every state to replicate Florida’s system of centralized, computerized voter files before the 2004 election. The controls on the 50 secretaries of state are few – and the temptation to purge voters of the opposition party enormous. African-Americans, whose vote concentrates in one party, are an easy and obvious target. The act also lays a minefield of other impediments to Black voters: an effective rollback of the easy voter registration methods of the Motor Voter Act; new identification requirements at polling stations; and perilous incentives for fault-prone and fraud-susceptible touch-screen voting machines. No, we are not rehashing the who-really-won fight from the 2000 presidential election. But we have no intention of “getting over it.” We are moving on, but on to a new nationwide call and petition drive – available at www.gregpalast.com – to restore and protect the rights of all Americans and monitor the implementation of frighteningly ill-conceived new state and federal voting “reform” laws. And so in May in Birmingham we marched again as our fathers and mothers did 40 years ago, this time demanding security against the dangerous “Floridation” of our nation’s voting methods through computerization of voter rolls. Four decades ago, the opposition to the civil right to vote was easy to identify: night riders wearing white sheets and burning crosses. Today, the threat comes from partisan politicians wearing pinstripe suits and clutching laptops. Jim Crow has moved into cyberspace – harder to detect, craftier in operation, shifting shape into the electronic guardian of a new electoral segregation. Martin Luther King III is president of the Southern Christian Leadership Conference. 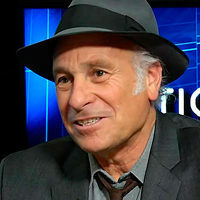 Greg Palast is author of The Best Democracy Money Can Buy, and his investigation of computer purges of Black voters appeared in Harper’s Magazine.